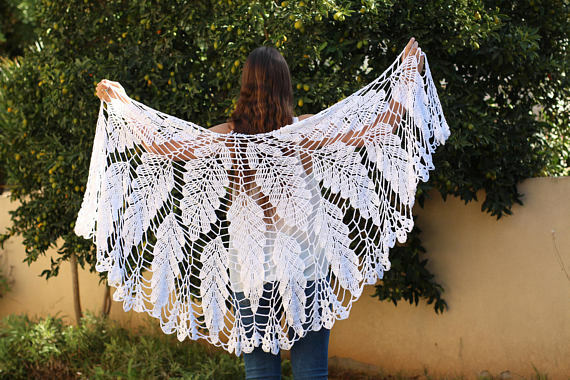 Add a chic touch to your wedding day with this leaf wraparound wedding shawl crochet tutorial. This captivating wedding shawl can be worn long or wrapped short. Wear it on your wedding day to add a measure of glam and toss it in your suitcase for added warmth on your honeymoon! Get your copy of the pattern at the affiliate link below.